We’re always having to produce ID cards to prove our nationality, when we intend marrying, to open a contract or when we start a new job. Today, many companies want to make sure that their staff wear some form of a security badge, and the question arises as to whether they should save costs and print in-house or outsource the task and pay more. There are a number of good reasons to have an ID printer on site, especially when you realise that many printers are able to output an ID card in less than a minute. You can create new IDs and also print out lost ones in no time at all. You don’t have to face issues with the vendor either who insists that to do the job they will require a minimum of 20 cards. You also won’t have to pay ridiculous prices for the service and you won’t have to wait for days or weeks on end for their delivery. Of, course if you’re going to be doing your own ID cards, you’ll want them to look professional. The basic features on these ID card printers are easy to use with some initial training. Determining your card appearance needs involves choosing either single- or dual-sided card printing, knowing more or less how many cards you’ll be printing each day and what kind of encoding options you’ll need. You may be a small business looking for an economical choice and then Fargo has ID printers perfectly designed for low volume printing needs. These printers have slower speeds and less encoding capabilities than other ID card printers. For some businesses, the fact that they have monochrome printing poses no problems because they’re specifically looking for economical printers which have excellent print quality, yet their pricing is in keeping with their lower duty printing. 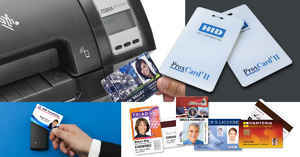 Fargo is a worldwide leader in secure card identity systems which are known for their reliability and high print quality. They’ve already produced many printers that have been ordered worldwide. 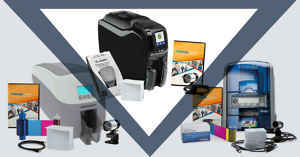 Their printers are affordable, simple and offer professional results. 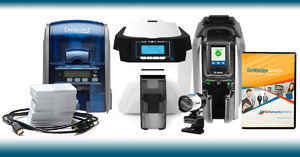 Fargo produces a wide variety of plastic ID card printers some of which are the Fargo HPDiiPlus, the Fargo HDP8500, the Fargo DTC1000Me and the Fargo HDP5000 among others. 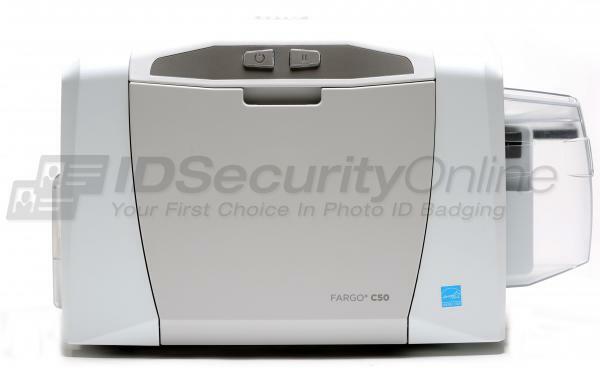 Built on Fargo's Secure Mark Technology, their card printers aren’t only user-friendly, but highly secure. 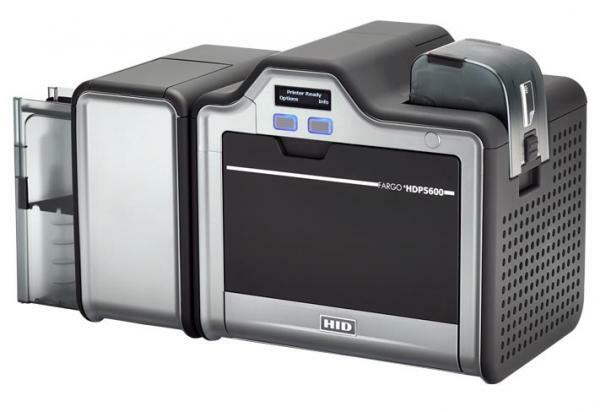 Fargo HDP5000, a good looking ID card printers which makes use of dye sublimation to create images which are 100%, thanks to its ‘High Definition Printing’. cards can be laminated and even forceful attempts to scratch the card won’t damage the card. 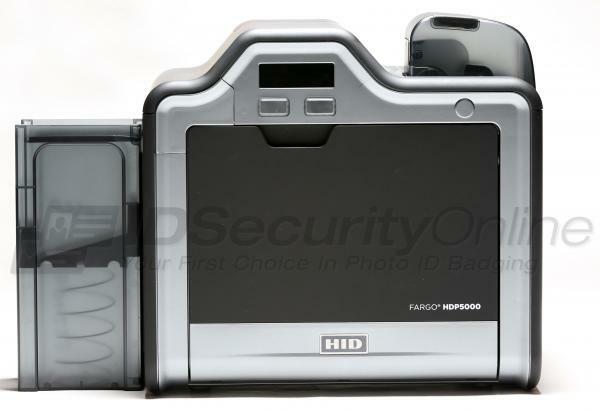 in the 21st century, the focus with ID printers is always on security, and you can’t beat the Fargo brand on security. The HDP 5000 may well be a little pricey but they come with the most advanced anti-copying security. this ID printer is sought after by the military and governments, and they are also ideal for high volume print jobs users. this particular model comes with a number of exceptional features. For starters, for safety and security purposes, the printer has micro-images, where the software designs an image that is particularly hard to scan, making it all but impossible for anyone to clone your ID without the original template. the printer is also able to encode smart cards or magnetic stripe cards, which means you can use the proximity technology in your business security system. Do you need single or dual sided printing? Can your card have an unprinted border around the card or do you need "over the edge" coverage? 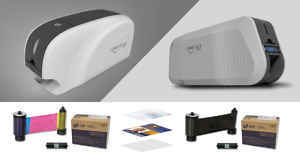 Thermal ID Card Printer - The printer is the core of your system and will determine what type of cards and printing you can do. Which model you choose will depend on the volume you are printing and what specific features you want on your cards. Lamination, data encoding, edge to edge print and dual/single sided printing will all come into play when selecting a unit. PVC Cards and Ribbon - Cards and ribbons come in a variety of colors and options including magnetic stripes, smart chips and RFID elements. Making sure the media you choose matches your application and your printer model is crucial to getting the longest lasting and best printed results. ID Card Software - Whether you are printing images, barcodes, or encoding a magnetic stripe, the design software will determine what features are available to you. If you are creating large volumes of cards, you will also want an application that can access a database to automate your printing. print speed – delivers a full-coloured card in 24 seconds and a monochrome card in 7 seconds. There are so many ways a business applies ID card printing to their unique set-up. Depending on the application the card is being used for, the encoding information on the card will increase the security. Fake identities are on the rise and this can be laid at the feet of proper ID issuing facilities. 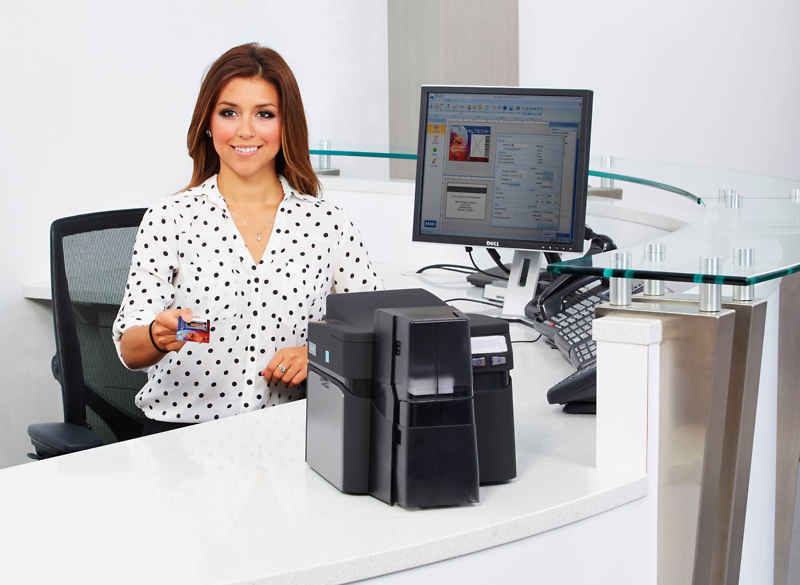 Businesses today order top ID card printers from Fargo such as the HDP5600 to keep tabs on the identity of every person present on the premises and to ensure they only enter and exit at certain doors and gates. There are 2 types of ID card printing machines - the plastic ID card printer and the ID badge printer. These ID cards and badges are also essential to differentiate visitors from workers at the business. Employees and visitors can be identified by their name and designation. These cards reveal something else - the times the employee arrives and leaves work. ID badge printers for instance are ideally suited for visitors at a conference or event and they’ll ensure that every single individual attending is accounted for. 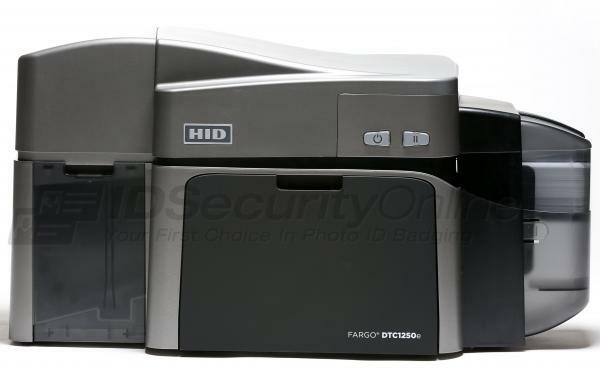 Let’s take a look at another one of Fargo’s ID card printers – the HDP5600. works with Windows and Mac operating systems. high definition print quality in small or micro text - 600 DPI for clear, vibrant colours. can also include holographic imaging which will increase the security of the cards. Whether you run a small, budget-conscious office or a huge organization with hundreds of employees, you’ve got to recognize them and keep track of their movements to an extent. Fargo is a name synonymous with value for money printers, for small businesses to sophisticated organizations, and with their multi-purpose machines they’re capable of tackling any card printing task you’ve got. These ID cards are an important means of identifying employees. Their safety features can even be narrowed down to ensure that certain employees can only enter certain doors. This is possible with encoding the IDs to work with a special reader which is able to grant or restrict access. What are you looking for in an ID card printer? 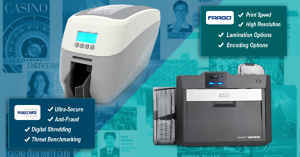 Certainly Fargo is the brand most sought after to get the job done efficiently and professionally, and there is a printer ideally suited to your unique business needs.